People with a passion for skiing are being urged to pay a visit to the US state of Oregon. 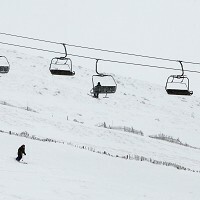 The state's travel board says that Oregon has 12 ski areas encompassing 400 slopes, while it also enjoys more than 400 inches of snow annually. But the tourist board says that the fun and adventure does not stop there as most areas also contain Nordic trails for cross-country skiing. Offering world-class skiing and a Nordic freestyle terrain park is Mount Bachelor, close to Bend in the centre of the state. The park itself offers a challenging test with a quarter mile of bespoke table-top jumps, spines and rollers to test the most competent of skiers. As well as Mount Bachelor, there is Mount Hood, to the north of Oregon, where there is a three mile run and a drop of 2777 ft. But before undertaking any such sports abroad it is advisable for travellers to take out some form of sports travel insurance to protect against any eventuality. The travel board adds that there is much more to Oregon than just skiing, with short trips to nearby Portland offering the chance to see the Oregon Museum of Science and Industry.